Kid’s electric scooters have become quite popular nowadays. And while they are fun to ride, they can also be potentially dangerous to your child if the right safety guidelines are not observed. It is important to tell your child or children to ride their scooter attentively and carefully since a majority of accidents happen when children lose concentration when riding and on the surrounding environment. Here is a look at several electric scooter safety tips and rules that you need to teach your child. Sometimes, it is inevitable to avoid an accident, and that is why you should ensure that your kid(s) is always wearing the right protective gear. There’s no such thing as being or going overboard especially when it comes to the wellbeing and safety of your child. So, here is a look at the different scooter-riding gear that you should consider buying for your child. Starting from his or her head to the feet, your kid needs a mouth guard, helmet, elbow straps, shoulder straps, ankle caps, knee straps, and gloves. At the end of the day, battery operated scooters for children are very safe, but you just have to be cautious. Ensuring that the scooter’s tires are in always in good condition could significantly improve your child’s safety when riding. Since you can’t always be there when your child is riding his/her scooter, it is important that you teach him or her how to examine the scooter’s tires before riding off. Some of the main things to look at are the tire’s pressure and the overall condition of the tires. Help your kid examine the treads on the tires to determine if they can still be ridden on or if they need replacement. Train your kid to always concentrate on the road and to be observant to ensure that he or she is always alert and ready to react in good time whenever an incident occurs. Also, consider teaching your child of the importance of always keeping an eye on the road so that the scooter always remains on the right path. Here are some good tips. Make sure that your child is well-educated on how to watch for road imperfections like puddles, potholes, and speed bumps. According to statistics, these imperfections are amongst the top reasons why accidents happen. Instruct your child not to panic and make sudden turns when approaching a pothole or speed bump while moving at high speeds. In such situations, kids need to remain calm and slowly reduce their speed while bracing for impact to avoid colliding with vehicles or falling off the electric scooter. When it’s rainy, puddles tend to form on roads. It is, therefore, important to ensure that your child rides his/her electric scooter much slower during rainy seasons since some puddles may cause severe damage on the scooter. Your kids need to be extra cautious when riding their scooters over slippery surfaces like over railway lines, muddy roads, wet roads, etc. Such surfaces are hard to navigate. As such, your child should always maintain a slower speed in which he/she can navigate the electric scooter safely and with more ease. One of the most common mistakes kids make when riding their scooters is applying their bike’s front brakes. Using front brakes increases the likelihood of the scooter slipping. It’s advisable that they always use the scooter’s rear brakes to regulate motion while braking. Another form of braking that your child needs to know is gentle braking. Instant hard braking increases the chances of a scooter experiencing wheel locking. When the wheels lock due to hard braking, this may throw the scooter off balance, leading to your child falling off. Braking gently will help your kid maintain balance while slowly bringing his or her scooter to a stop. Riding a scooter in the rain can be quite frightening, especially for children who’ve driven a fairly-long distance from home. Instruct your child never to panic, but to make sure that he or she maintains a relaxed body and mind in order to navigate back home safely. Even if your child likes riding his scooter in the rain, it is important to make that he is aware that he should stop riding once lighting hits. Lighting is very dangerous and could cause severe damages that could end up in fatalities. Ensure that your child knows how to stop and find shelter when lightning strikes. Wearing gear that is visible is essential especially during the night and maybe the only difference between life and death to your kid. If your child is wearing colours that blend in with the road and surrounding area, chances of him or her being hit by a vehicle increase exponentially. Make sure that your child has gear and clothing that’s visible from far away distances. Such gear and clothing as shoulder pads, knee pads and reflective coats or jackets are essential to the wellbeing of your child. Riding an electric scooter is fun. It is one recreational activity that your child will probably love. However, it must be something that he or she will do without endangering his or her life or those of the people around him or her. 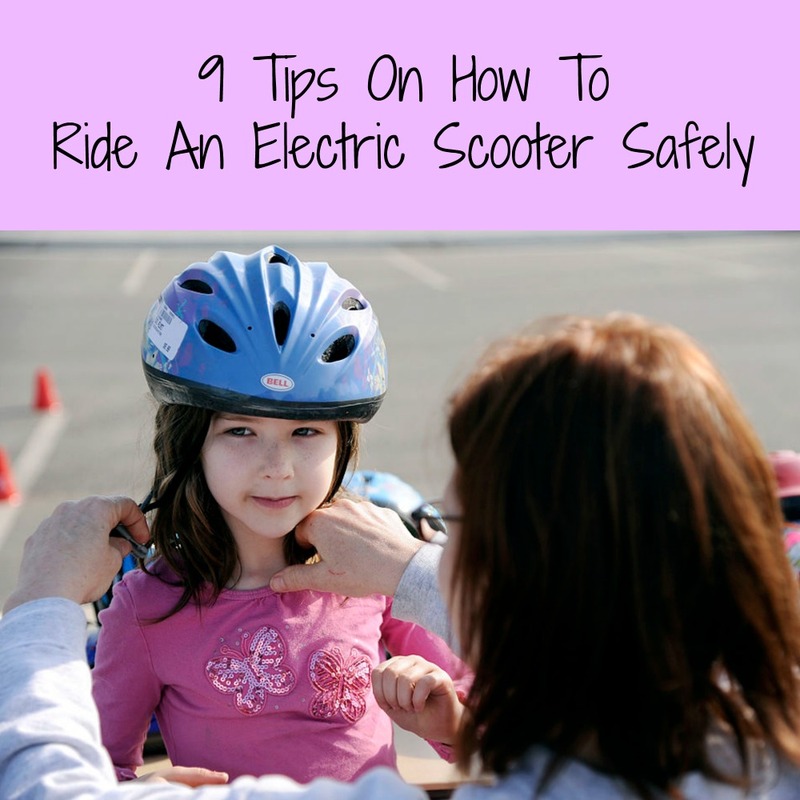 Following the abovementioned tips will help ensure that your child continues to enjoy riding his or her electric scooter while staying safe. These are all great tips. 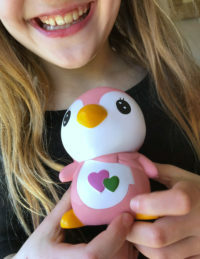 Our kids got these for Christmas last year and these were all things we had to go over with them. The brakes were our biggest challenge to teach them. These all sound like good suggestions. The helmet is particularly important, some kids don’t want to wear one and some parents don’t enforce having to wear one. Wearing Proper Protective Gear is so important and necessary. I have heard of children or teens getting badly hurt without taking these precautions. Step by step good suggestion. Overall a good blog it is. Can be said a buyer’s guide book who are beginners. Thanks to post such a helpful blog. Keep sharing.